Did you know that more than half of senior business managers have no idea how their companies buy energy? Ouch. And nearly 50% also confess to a "limited understanding" of how much energy costs their business, according to a recent YouGov survey of more than 750 senior executives across the UK. For this 2nd instalment of our industry focus series, we’re looking at energy saving solutions for supermarkets. The holidays are upon us, and for grocery store managers, things are already going nutcrackers. Shopping-crazed customers are leaving fridges open, the heat is blasting to keep those holiday shoppers warm, and opening hours are extended... But what if I told you this festive madness could work in your favour? Or that the holiday season is actually the BEST time to save energy (and consequently, money!)? Don’t just take it from me - Energy Star estimates that every dollar saved on energy expenses in supermarkets is equivalent to a $59 increase in sales! How’s that for a Christmas miracle? 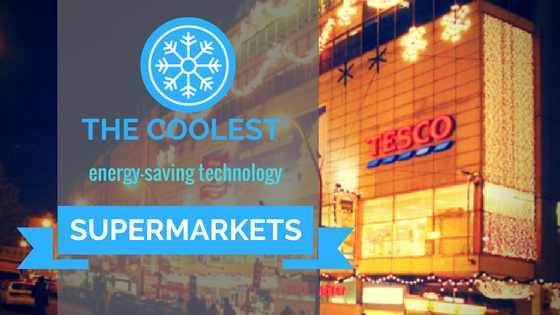 As it happens, seriously cool energy saving solutions for supermarkets have hit the market recently...in this blog we'll tell you our top 5 favourites!